What’s in that, anyway, I asked. You mean what kinds? said Chris, who was busy shoveling a big brown pile of composted manure into 50 lb. bags for us to drive home. Oh, he said. Cattle. Chicken. Pig. And other stuff too. Innards. He told me he once found a jawbone in the compost. Last year our garden at the Cabin was, truth be told, kind of weeny. Sallow tomatos hung off spindly vines. This will be the macha season of vegetables, helped along by plenty of fertilizer and more diligent weeding. I’m determined. Hemlock Hill Farm stocks seasoned manure as well as lots of other fortifying things. 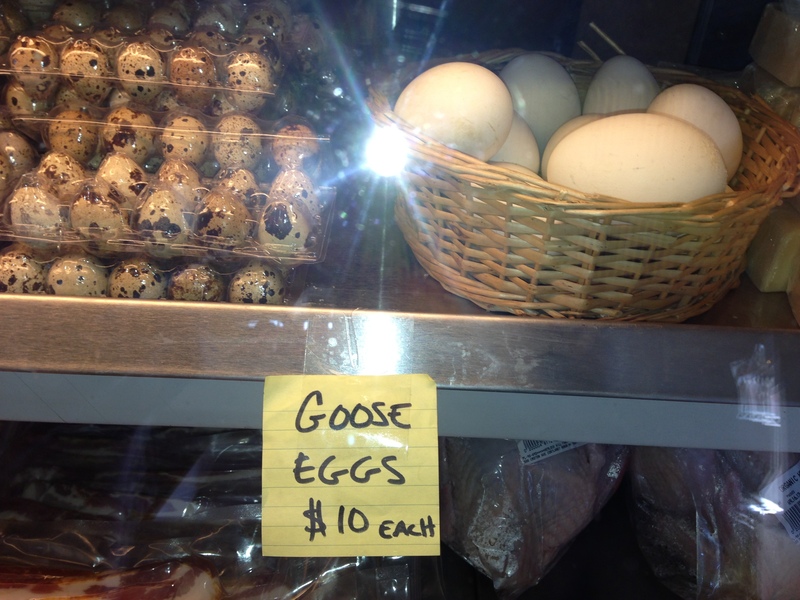 A variety of eggs, chicken, duck, quail and goose. Fresh chickens (the bird we brought home today for dinner was running around yesterday). Johnny Jump Ups, with their little lion faces. “There’s pansies, that’s for thoughts,” said Ophelia. 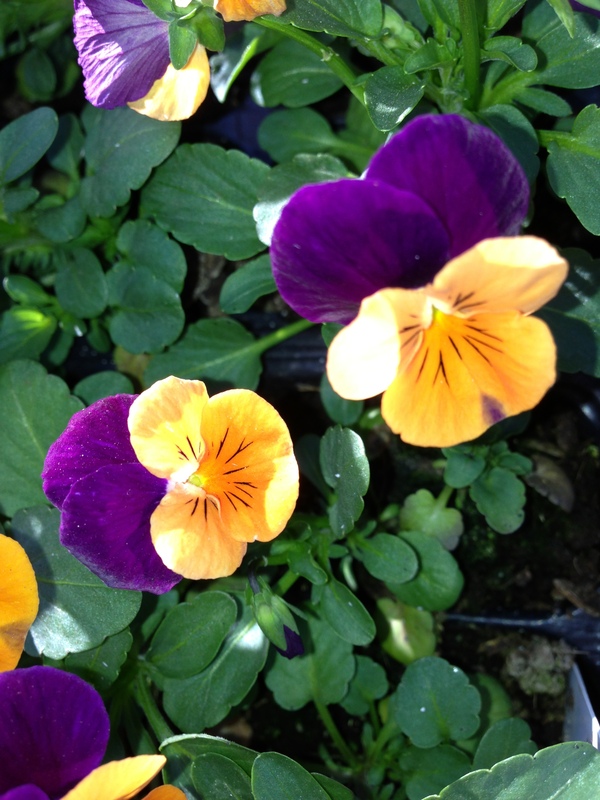 In her day, pansies were wild and small, and sometimes known as heart’s ease or love-in-idleness. 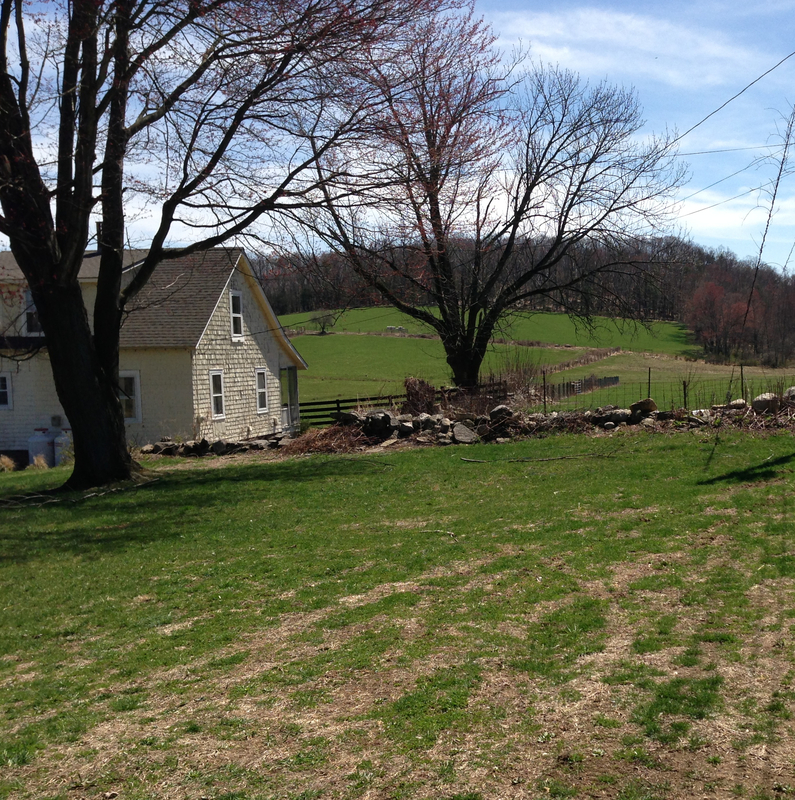 The farm, on 120 acres in Cortlandt Manor, New York, has been owned by the De Maria family since 1939. There is a beautiful hillside to its south, near a spa of sorts for its chickens, which recline on clean straw underneath a shady quonset. It’s good to have an organic farm you can trust in your neighborhood. I’ll admit to mixed emotions, seeing the spring piglets scamper up to the fence, knowing that we have a pig roast planned in our near future. They’re such magnificent animals. Didn’t one of them write Animal Farm? 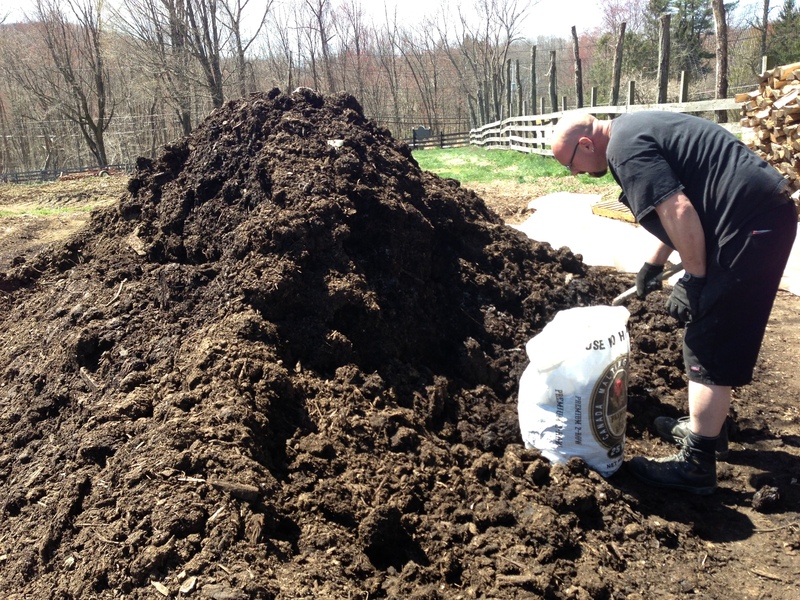 Our 300 pounds of Hemlock manure laid the foundation for this year’s vegetable patch. A garden store near us, Sprainbrook Nursery, has fallen on hard times, but the owner, Al Krautter, is making a go of it despite financial strictures, sending an inspiring e-newsletter and cultivating a variety of spring plants when he could not afford water or heat in the greenhouses all winter. Krautter is the guru of organic fertilizer. We were advised. 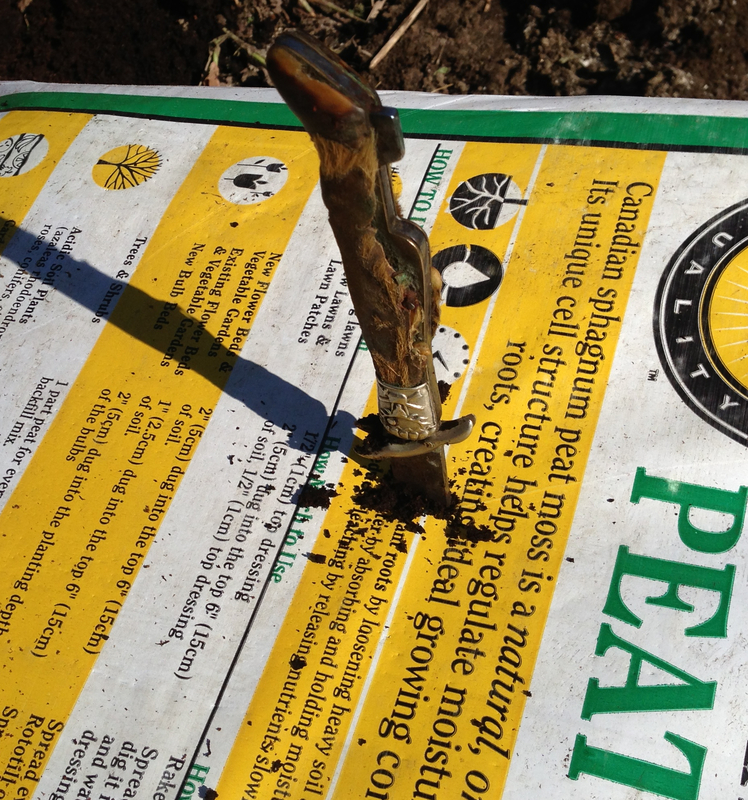 Peat moss, which Gil cut open with his father Acton’s deer hoof knife. Not only peat moss, but lime and bone meal and Plant-Tone went into our E-Z Bake topsoil, plus a vinegary smelling mineral rock dust, plus decomposed lobster, plus some stuff they import from Maine that has a mixture of decayed blueberry, mussels and salmon mixed with sphagnum peat. Work it in or cook with it? Whatever you do, be sure you wear gloves. We toiled all afternoon (Gil sweating hard over the rototill, me somewhat less so over the windowboxes). Taking a break only to examine the still-uncomposted bones in our garden soil. I think I have one! Just never knew it. 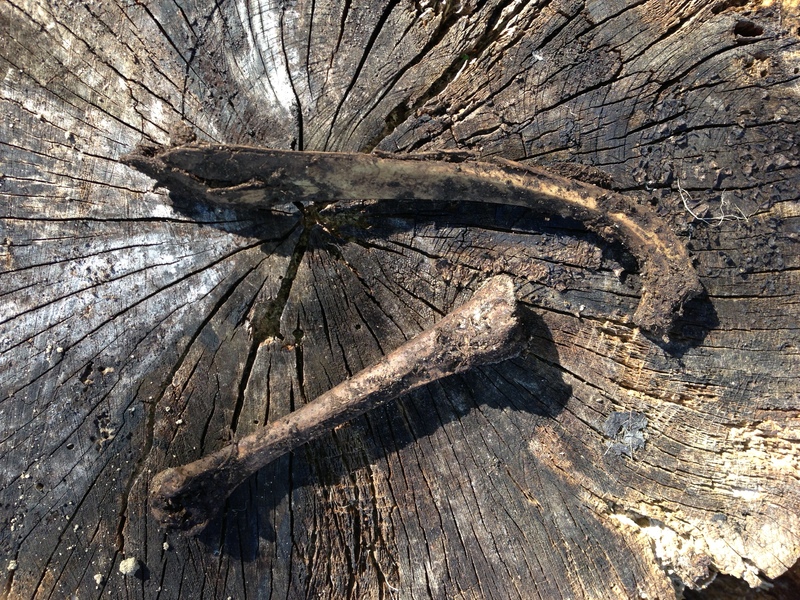 Is a manure fork different from a pitchfork? Yep, it’s definitely gardening season! Whip out your spindly little starts and sock them in the ground. Three eyes to the piece when cutting up potatoes. Soak those peas first. Lettuce grows well in cool weather. Rhubarb is sprouting and looking like a good crop. I can hardly wait for the spinach to be up! Nicely put. 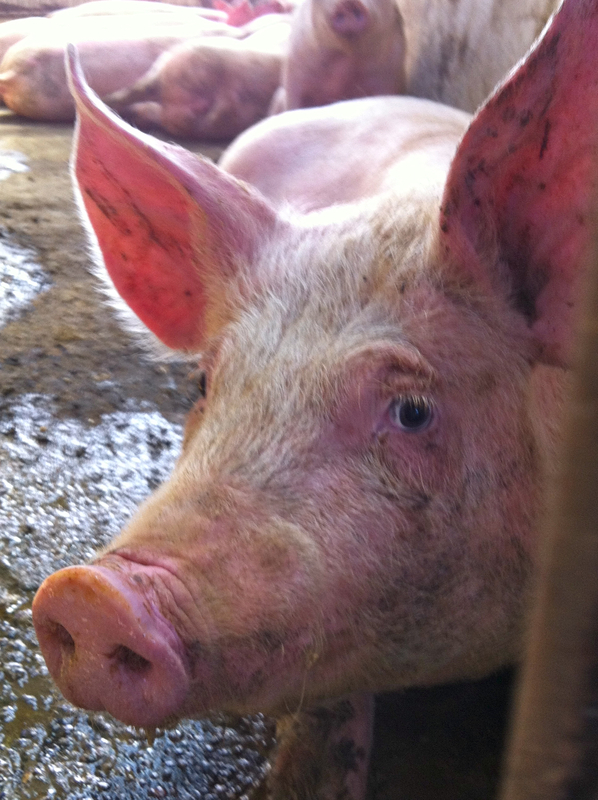 He said, ‘I like pigs.” So do I. 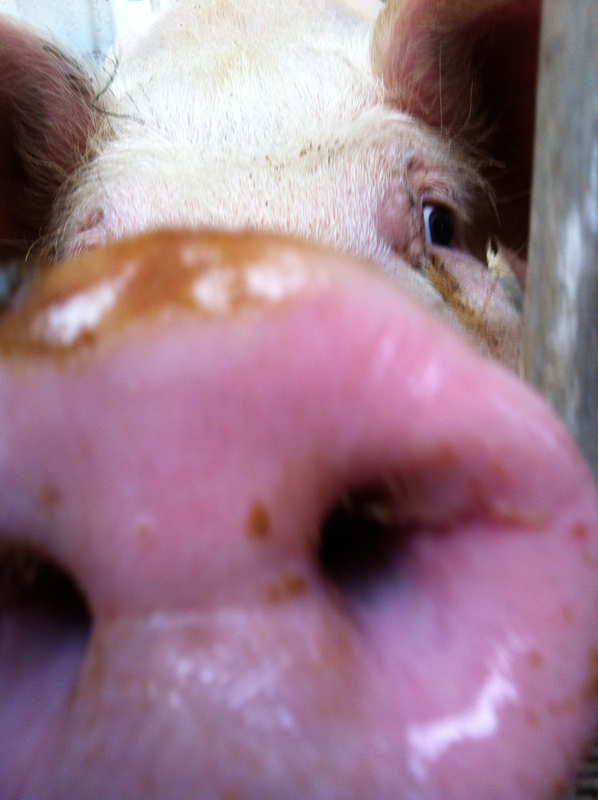 *Eau de Manure* pervades the farmlands of Lancaster County, PA, before tilling for tobacco and corn … the smell of money. Amish ladies have their ever-ready horse manure for their gorgeous flower beds. They all have good manure forks, too, a good investment, I understand.